partner to bring you a wedding experience you will remember for the rest of your lives. allow you to enjoy the journey, and celebrate in your own personal style. A diverse 143-acre farm over looking the banks of the historic Hudson River - just sixty miles north of New York City. The estate encompasses a renovated 1800’s cow barn, stone foundation ruins, a horse paddock & chicken coop. 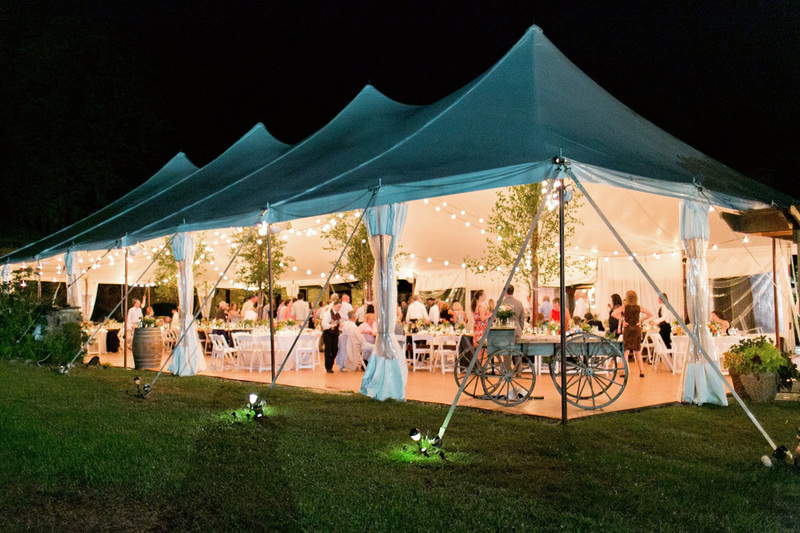 This along with expansive lawns, vineyards, fruit, vegetable, herb and floral gardens provide endless opportunities for photos and set the scene for your celebration. 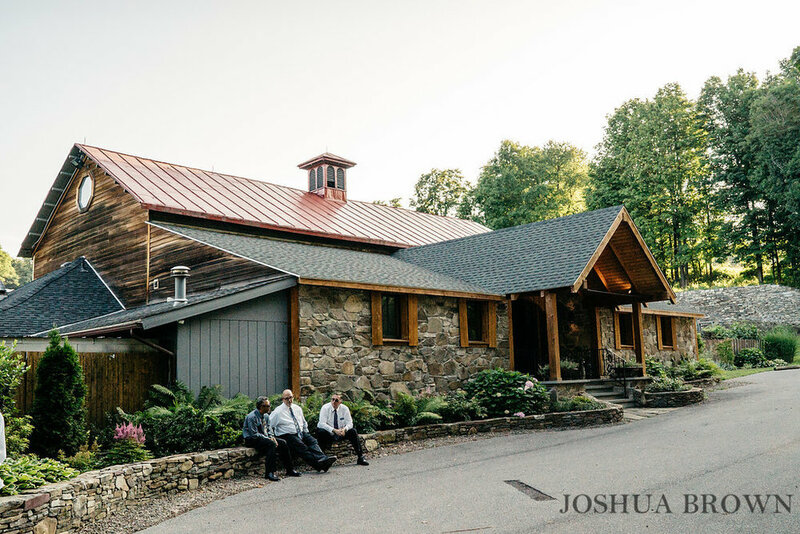 An early 1800’s cow barn renovated with a touch of rustic elegance. The main building features a bridal suite, custom chandeliers, grand piano, wine rack, bar and lounge area. 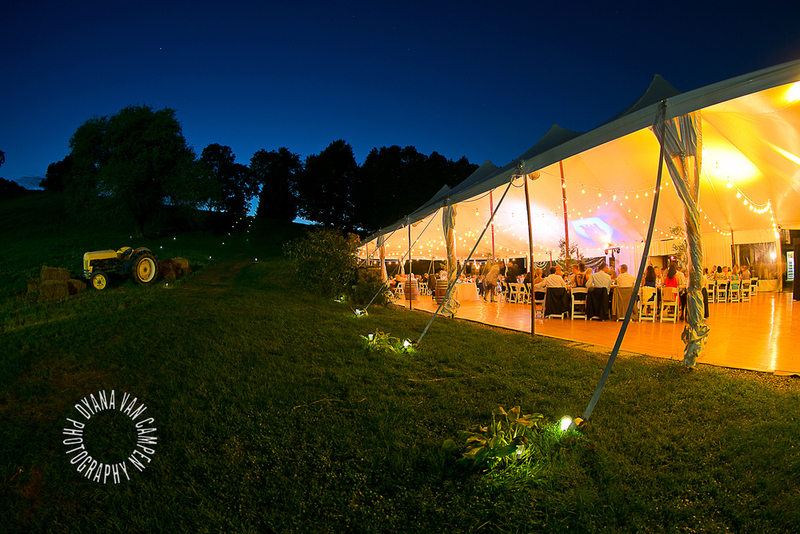 custom faux wood floor, uplighting, tent cooling system, stone wall and gardens. Access to the venue is permitted 4hrs prior to the reception for early preparations and photos. wedding cake, top shelf bar, staffing, event planning and all of the trimmings necessary for your event. 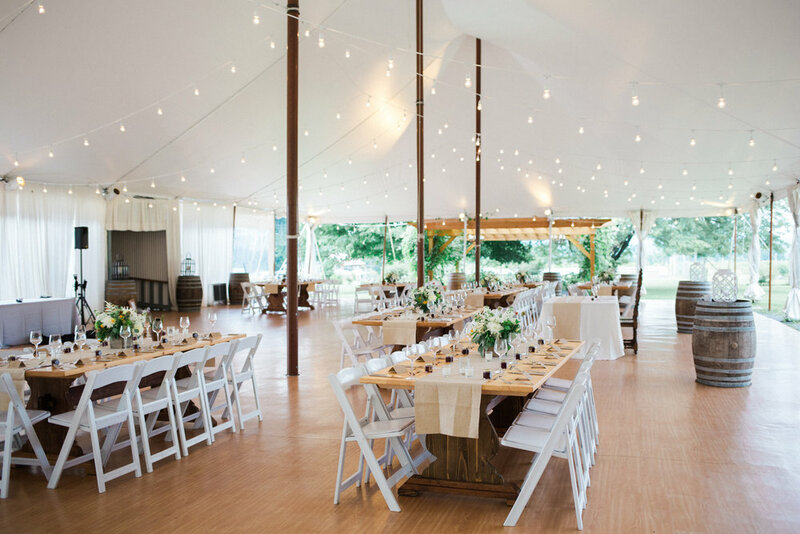 Included are all tables, chairs, cocktail tables, cutlery, china, glassware, solid linens (any color), five votive candles per table, bar equipment, and toiletry baskets. Attractively priced upgrades include farm tables, a fire pit, lounge furniture, beer canoe, etc. Its a big day. We try to make planning your wedding as effortless as possible. Customizing the menu to accommodate allergies or dietary restrictions is not a problem. Seasonal menus for the spring, summer & fall will incorporate all natural produce from our farm and from our partnering local farms. An intimate tasting will ensure your approval of the final menu. includes top shelf liquor with featured wines, prosecco and beer for a five hour event. costs include set up, service and clean up (based on a five hour reception). includes site preparation, an intimate tasting, floor plans, vendor co-ordination, timing of the affair and helpful tips on pre-planning. The process is both fluid and enjoyable! Please e-mail back with any questions or to set up a tour. Rt. 9 Poughkeepsie is 12 miles from RMV. The following hotels are within close proximity to each other and range between 14-17 minutes from RMV. All are a short cab ride from the Poughkeepsie Train Station.